Who knew that an enormous funeral home [temple of death] in a gritty hood in Paris could be so alive. The 104 [Centrequartre] collective did and set up shop to become one of Europe’s largest artist’s residences open to the public. [Artists’ zoo others call it.] 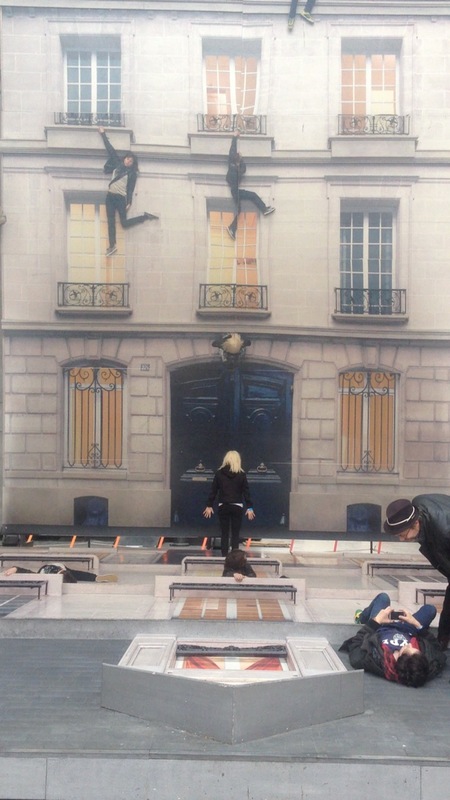 Argentine artist Leandro’s trompe ‘l’oeil is a hilarious communal experience. Check out the blonde.